Set your space apart with Globe Electric's take on track lighting - the Rennes 5-Light Antique Brass and Oil Rubbed Bronze Track Light. By pairing antique brass sockets with an oil rubbed bronze finished bar, Globe has created a beautiful fixture that will bring a modern industrial feel to any space. The exposed vintage filament bulbs create an old world feel and are included to complete the look. Comes with all mounting hardware for quick and easy installation and four 60W S60 vintage filament E26 bulbs. Check out Globe Electric's assortment of designer vintage inspired bulbs to change the look of your fixture at any time! Add a pleasant welcoming touch to any dicor with the Williamsburg Collection by Globe Electric. Mixing a warm dark wood finish with industrial dark metal accents brings a collection of fixtures that are sure to complement your space. This three light track bar is a wonderful way to bring an old world feel to your living room, dining room, study or hallway. Each track light can be adjusted to point the light in the perfect direction. The bulb sits inside the fixture to reduce glare and to create a truly warm light. 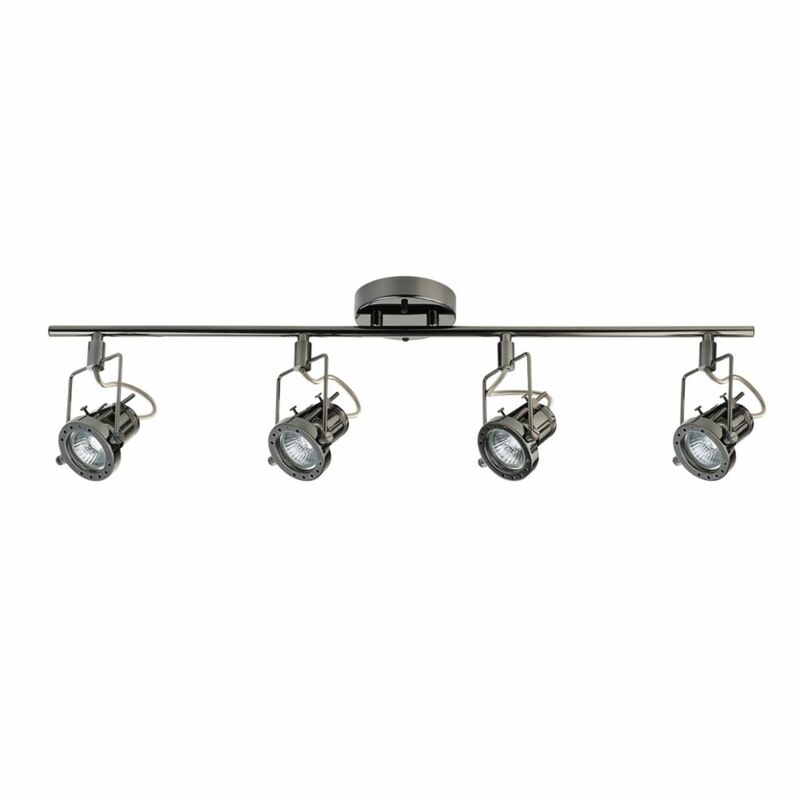 Includes all mounting hardware for quick and easy installation and three GU10 bi-pin base MR16 flood light halogen bulbs. Hampton Bay Linear Track Lighting Rail is ideal for kitchen areas and to highlight wall space or artwork in any room of the home. This 8 ft. rail is easy to mount on the ceiling or wall and comes with mounting hardware and two end caps. It boasts a sleek crisp white finish for a decorative look. This rail works well for accent and general lighting.